Global Email Filters – these email filters affect all your email accounts under your domain name. Email Filters – these are user-level filters and only affect the specific email address. Global Email Filters allow you to set up filters and rules for all email address under a domain name. Global email filters are processed on all incoming email messages sent to all email accounts under the same domain name. 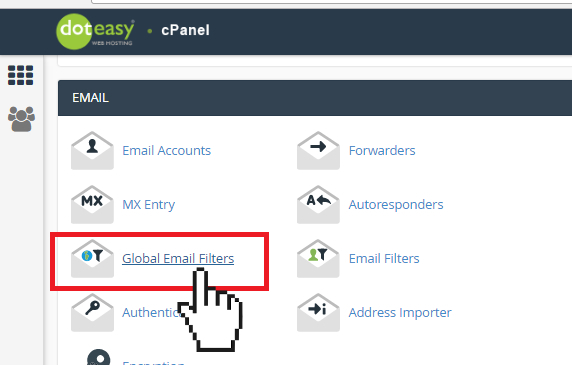 Global email filters can only be created from your cPanel dashboard. Under Email, click Manage Email Accounts. You will be redirected to your cPanel dashboard. In the Email section, click Global Email Filters. 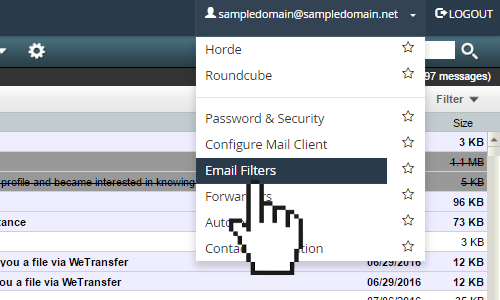 On the Global Email Filters page, click on the Create a New Filter button. When ready, click Create to complete the process. While global email filters affect all your email accounts, user-level email filters only affect a specific email account. 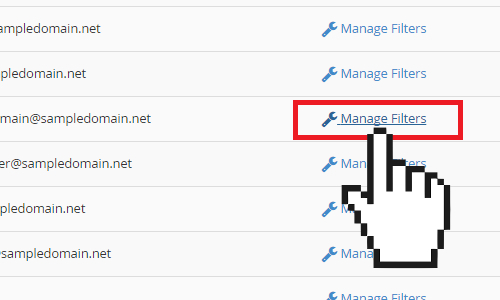 User-level email filters can be created from your cPanel dashboard (if you are the administrator of the web hosting account), or from the individual email account webmail interface. In the Email section, click Email Filters. 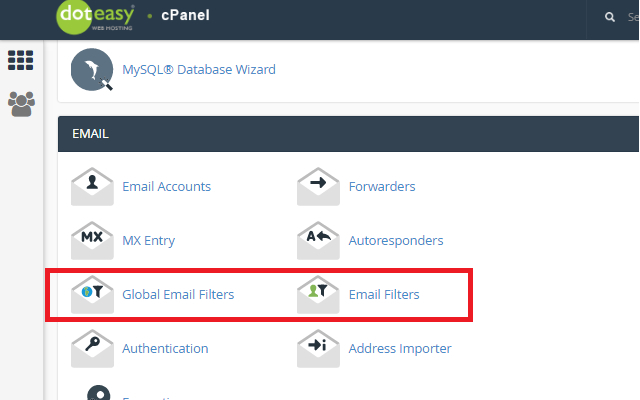 Select the account that you want to create email filters for and click Manage Filters. User-level email filters can easily be configured from the email account’s webmail dashboard. 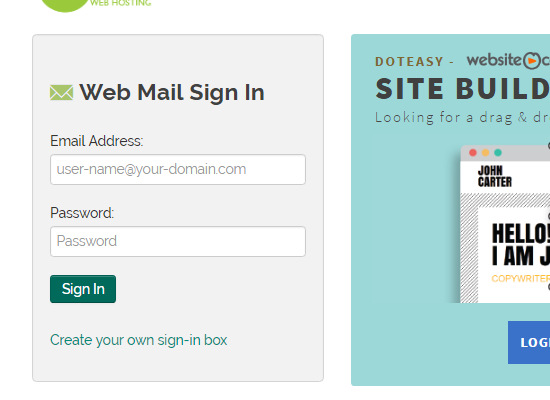 Go to the Doteasy homepage and click on Web Mail Login. Log into webmail using the email address and password of the account you want to edit email forwarding settings. Click on the top username drop-down menu and select Email Filters.